﻿Pam Misialek started her career right out of college as one of the very first interns at Great Plains Software. She thought she would stay with Great Plains until it was not fun anymore, and then she would move on. Little did she know that she would become an integral part of this product and stay with the company for the next 22 years – during many fun and not so fun times. Until her next big adventure began. But let’s start this backstory even earlier. When she was just 13 years old, Pam’s first job was working for her neighbor’s plumbing and heating business. In the beginning, she helped with cleaning and organizing. By the time she was 15 years old, she was doing all the AR, AP, General Ledger, inventory counts and ordering. At the time, she had no idea that this was an actual profession. And she certainly didn’t realize “GLAPAR” would play such a prominent role in the rest of her life. Especially since she had a much bigger goal. Pam wanted to be an astronaut. She applied for space camp and grants and other things that aspiring space explorers do. But after her first Advanced Calculus class in college, she realized the astronaut idea wasn’t meant to be. She took an Intro to Computers 101 class and was hooked. She switched her major to Computer Science with a minor in Business and said goodbye to the space program. And then a new opportunity opened up much closer to home. At that time, Great Plains Software was hiring, and they were growing fast. During her senior year in college, Pam took classes on Dexterity, the programming language of Great Plains, as part of the Academic Alliance Program. There were hundreds of applicants, but Pam was selected along with 12 others for the first intern group at Great Plains. She was going to be a developer. Pam started working with the Development team QA testing the software. However, just before graduation, she had a minor crisis when she realized she actually didn’t like sitting at a computer all day long and she needed to change her career path again. What she liked about her computer classes was thinking through a problem and designing a solution, not necessarily coding the solution itself. After graduation, she decided to stay at Great Plains but in a new role. Pam moved to the Support Department and started doing customer support and troubleshooting for Great Plain Dynamics version 2.04. Eventually, she moved into more consulting gigs, and she was no longer on the phone. She started to travel all over the country training partners and doing two-to three-day engagements at customer sites. Things were growing so fast at Great Plains, her role continued to change, and it stayed fun. Pam admits that her next role was not fun, but it was a challenge, and Pam loves a challenge. In her new “Customer Relations” role, Pam was the one to receive what they called in those days, “Dear Doug” letters. Customers that were very, very angry would send a letter to Great Plains president Doug Burgum that said things like: "I hate you, I hate your company. I want to sue you." Those letters would go to Pam. She was able to get involved with complicated problems and work through the solution to make the client happy again. Pam remembers this as a very rewarding time in her career. She recalls how gratifying it felt to work with a customer who could barely even talk because they were so lividly mad. They just yelled. In the end, they gave her a huge hug, thanking her. Some even sent her Christmas cards because they were so happy with their solution. Pam did this for several years. Then Great Plains acquired Solomon; then Microsoft acquired everyone, including Navision and Axapta. Soon it was no longer “Dear Doug” letters; it was “Dear Bill.” Pam even handled the escalations for CRM Version 1 issues. It was a stressful time, with a lot of great stories, but Pam enjoyed being able to make a difference. By this point, Pam had realized that instead of being in a role where someone upstream made the decisions, and it fell to her to clean up the mess, she wanted to be a decision maker. So, Pam moved into Product Marketing. It was time to release Dynamics GP 10.0 and Pam was the Launch Manager. She admits that she knew nothing about marketing. She knew the product inside and out, but everything related to a launch was new: writing copy, building decks, giving presentations. Even the marketing terminology was a mystery to her. Pam had already learned how to deal with angry, yelling customers, so she could handle this too. Pam will never forget the first time she had to get up on the main stage and present in front of 1000 people. Her colleague Errol told her "Just pretend there are 20 people because you nail that." That first launch was rough, but Pam’s determined nature kicked in, and she continued in that role successfully for many years. 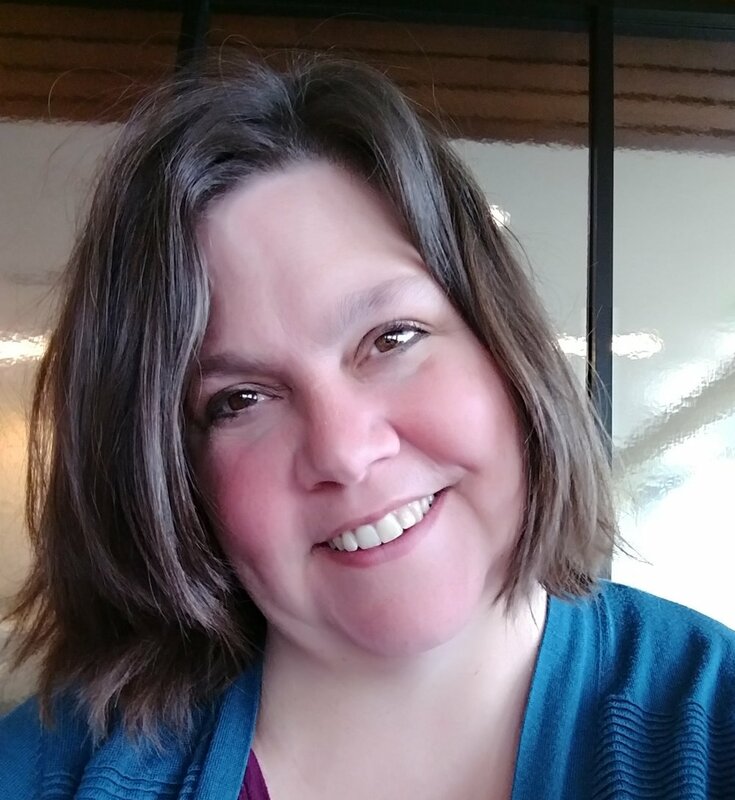 In recent years Pam has looked at other career options, but she didn’t feel she could find one that allowed her to participate in marketing, vision, strategy, licensing and all the other aspects she was involved in with Microsoft Dynamics. After 22 years, she wasn’t exactly having fun anymore, but she felt a loyalty to the Dynamics community, so she chose to stay at Microsoft as their champion. Then Microsoft decided for her. In 2018 her position at Microsoft was eliminated. It was time for Pam to have some fun again. There was no shortage of offers. But Pam surprised many people by accepting the position of Director of Cloud Operations at Njevity, Inc, the creators of PowerGP Online. She went from a 100,000+ person organization to a team of 25. She liked the direction that Njevity was going in with the PowerGP Online product and the diversity of the position – dealing with development, strategy, marketing, and sales. It matched her vision of where the Dynamics GP community should go, it matched her values, and she could be creative, something she had not been allowed to be at work in a long time. For the first time in decades, Pam doesn’t have to stick to a rigid set of brand rules and guidelines. The only marketing rules at Njevity are “don’t be mean and don’t break the law.” That’s a refreshing change. But marketing is not Pam’s only way to be creative. Pam sees writing as her creative outlet, thinking beyond debits and credits and integrations. And she has not lost her interest in space and the paranormal. In fact, few people know that Pam has written several Science Fiction books. A lot of people had an emotional journey related to Pam leaving Microsoft. But Pam is still here, she is having fun again, and she is allowed to more creative than ever. There is no doubt that there is still so much more to add to her story.